An American definitely did buy London Bridge in 1968 but it’s certainly not true, contrary to popular belief, that he thought that he was buying Tower Bridge. 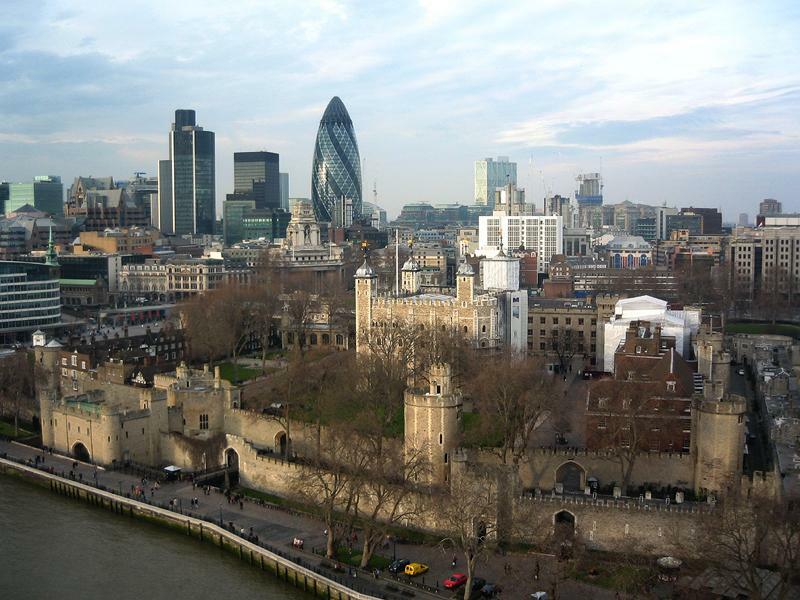 The latter may well be London’s most famous but it actually takes its name from the neighbouring Tower of London. I came to see various behind-the-scenes areas of Tower Bridge by acting as an ‘assistant’ to a friend who is keen to hire a section out for filming. A public exhibition describes the creation of the ‘Special Bridge or Subway Committee’ in 1876 to connect the gridlocked roads on the banks to the east of London Bridge whilst still allowing ships to pass. A design by the City Architect, Horace Jones, and his engineer, John Wolfe Barry, was picked in 1884 but Jones died shortly afterwards. Tower Bridge was built in 1886-94 and cost £1,184,000 which is, according to my online Victorian calculator, £65,736,000 today! George D. Stevenson took over the project from Jones and decided to use Cornish granite and Portland stone over the steel frame instead of brick. The two 65m towers and 61m walkways allowed pedestrians to cross when ships passed. Despite weighing over 1,000 tons each, the bascules (counter-balanced moving sections) rising so quickly to 83˚ was quite a spectacle so many chose to watch and wait over taking the steps. To this day, hydraulic power is used but with oil and electricity rather than steam. Now Grade I Listed, the castle-like Victorian Gothic structure (along with London, Blackfriars, Southwark, and the Millennium Bridge) is owned by a charitable trust, Bridge House Estates, of which the City of London Corporation is sole trustee. The City Bridge Trust makes grants on behalf of Bridge House to benefit the inhabitants of Greater London. 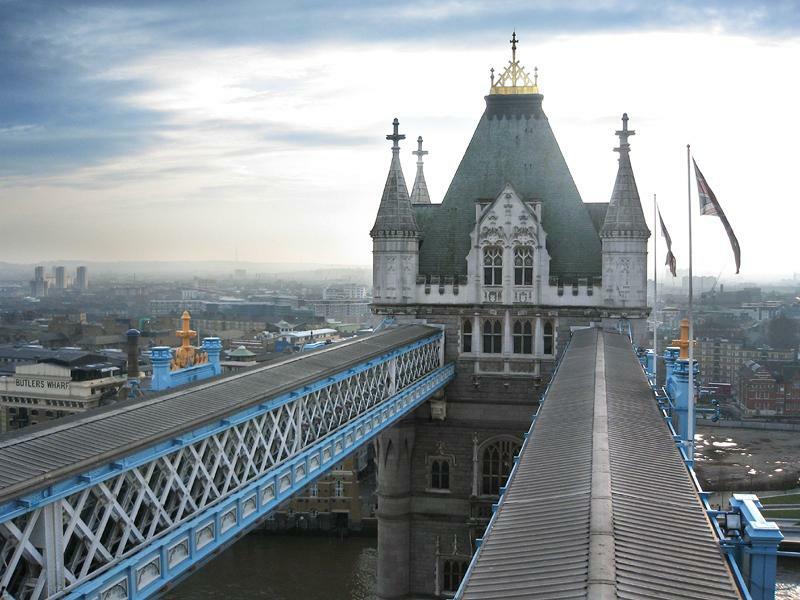 A £4 million renovation is underway which will see Tower Bridge’s paint returned to its original colours – blue and white. I’d like to draw an aesthetic parallel between Tower Bridge and a not too dissimilar Brighton structure of the same period – the Clock Tower at the foot of Queen’s Road. According to H. H. Statham, Tower Bridge ‘represents the vice of tawdriness and pretentiousness, and of falsification of the actual facts of the structure’. Sir Nikolaus Pevsner described the Clock Tower as ‘worthless’. Neither is architecturally pure but both work. Tower Bridge may well be on shaky ground architecturally but as a national landmark, its foundations are solid.